Last Saturday I have a FANTASTIC new experience. Do you know what? 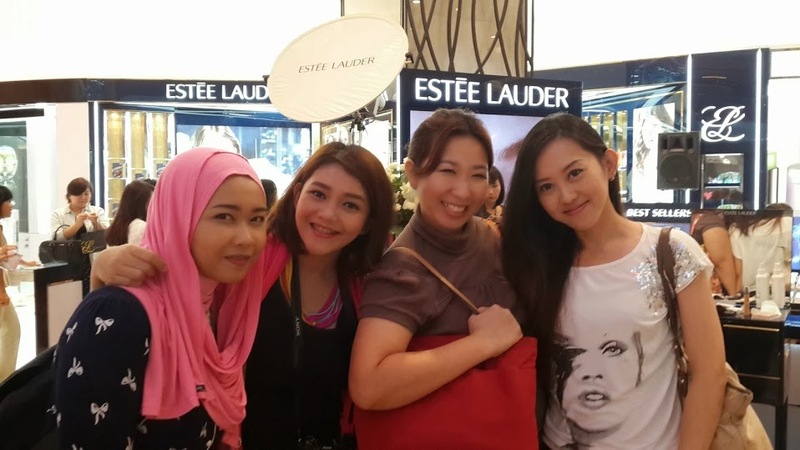 My first time joining event - Estee Lauder New Counter Event - with Indonesian Beauty Blogger, and also my first time following Estee Lauder Face Chart Competition as a semifinalist. Wow!! 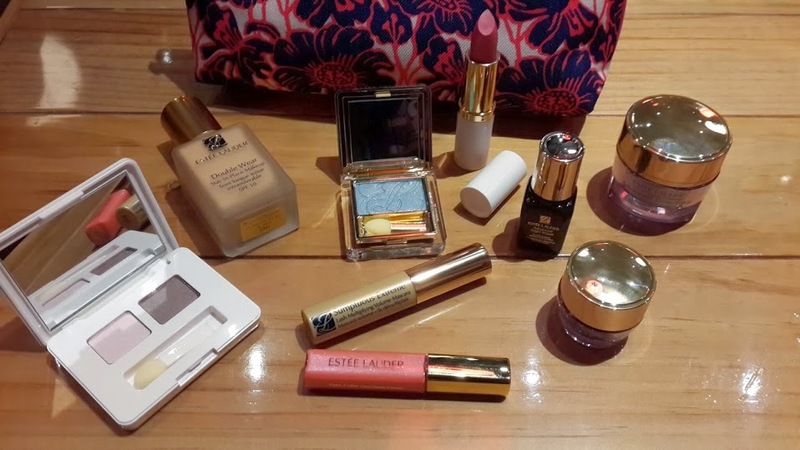 The competition starting at 11.00 AM at last Saturday at Lotte Shopping Avenue, following with Estee Lauder New Counter Event for Beauty Bloggers at 2.00 PM, so to preparing, I arrive earlier. 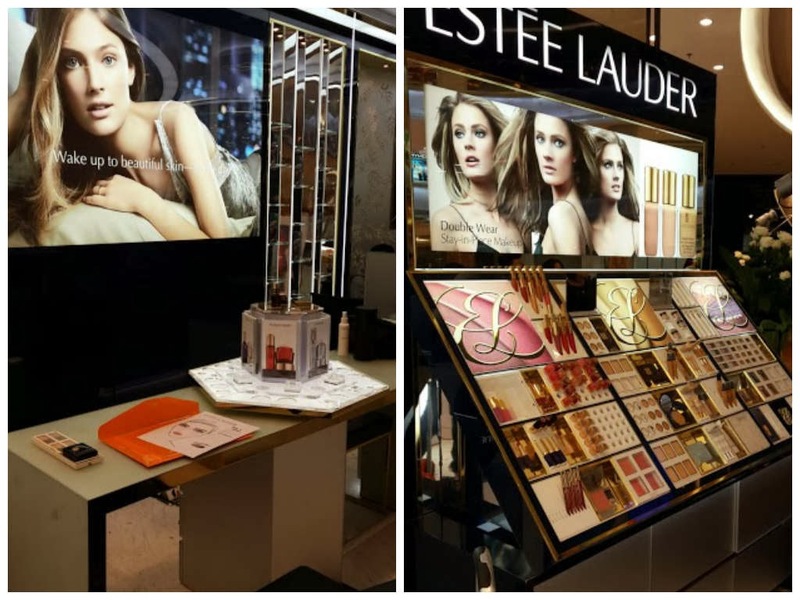 Its very easy to find the Estee Lauder Counter because it's placed at the Main Lobby at GF, and with the new design, its very eye catching!! 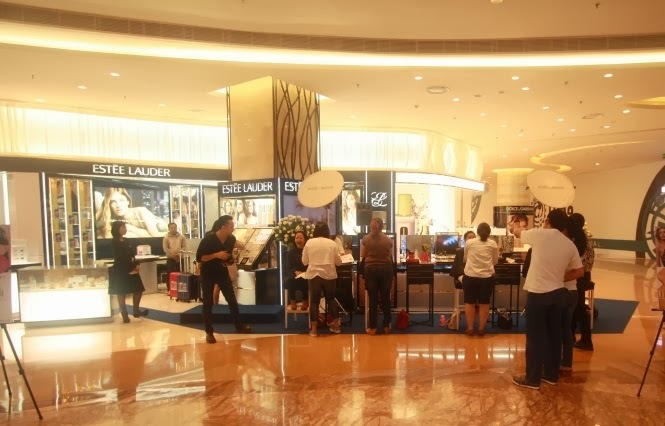 This is what we find first when we're entering the main lobby of Lotte Shopping Avenue. 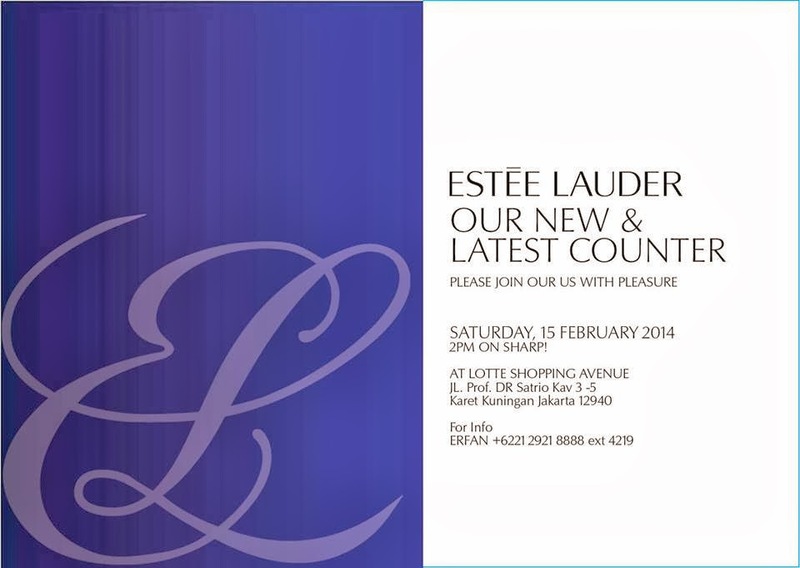 The Very New and Exclusive Counter of Estee Lauder!! The competition started around 11.30 AM, and divided into 2 part. I'm at the 1st part, and we're 4 semifinalist with our own models. I ask my friend to be my model, and lucky me, her boyfriend is photographer so he can help me to take all these picture! To opening the competition, Erfan as a Public Relation Manager who responsible with the event, give a speech. 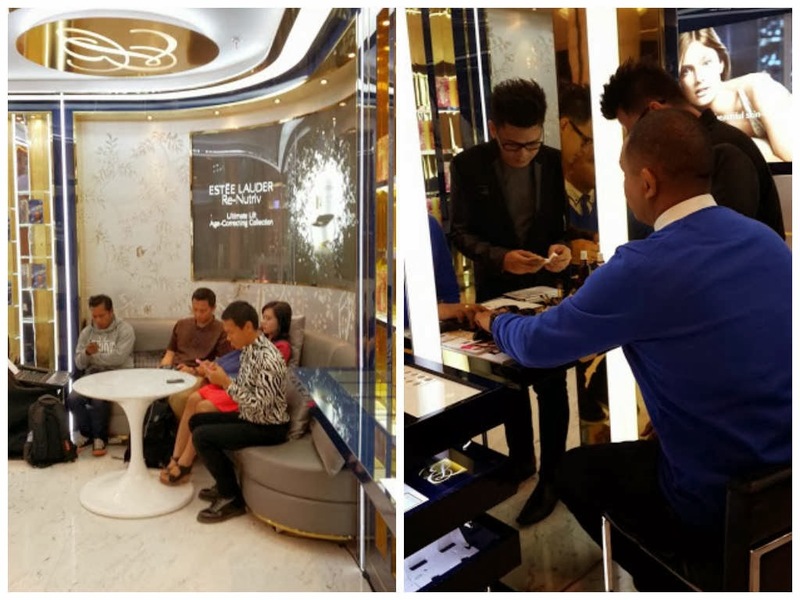 He introduce the new concept of the counter, the design and the uniform of their Beauty Adviser. 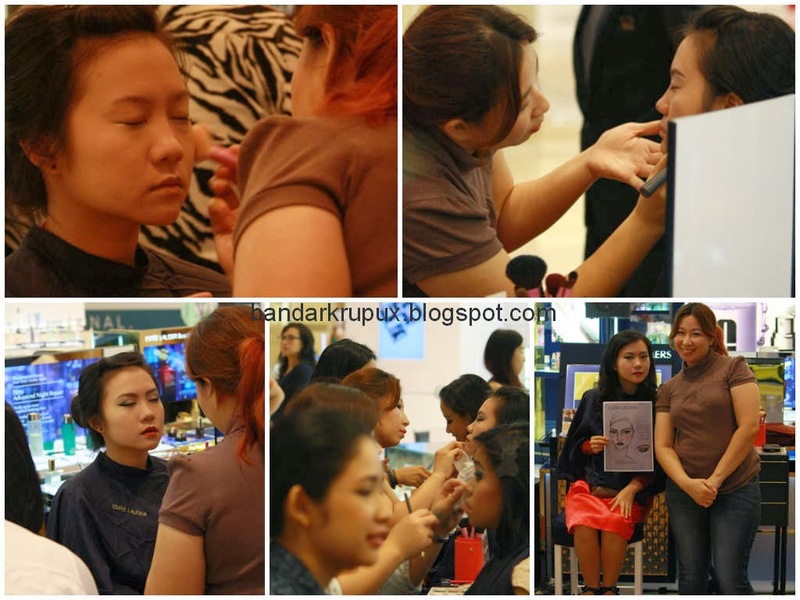 He also introduce us as a semifinalist of the Face Chart Competition. Then after the speech, the competition begin. At this time, we have an hour to make over our model same as our face chart we made it before. 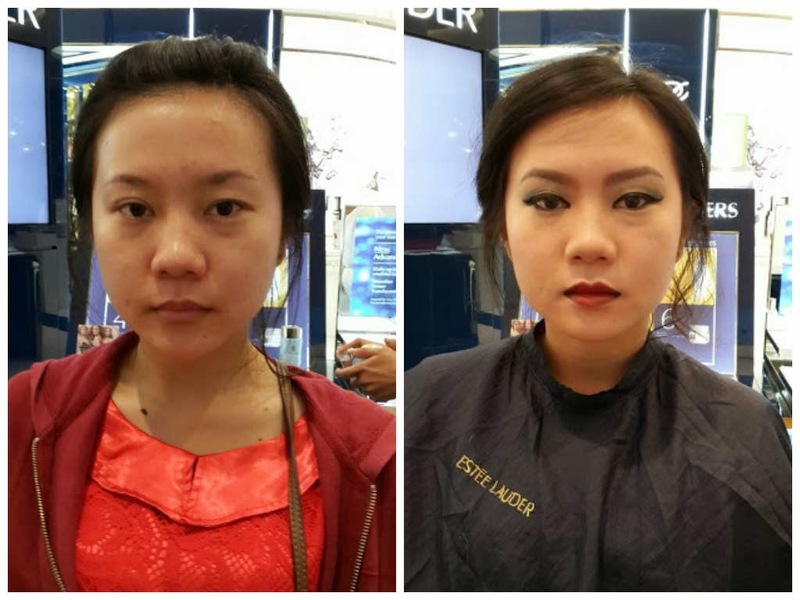 Since this is my first make up competition using model, my heart beating fast and really really nervous..:D but thanks God I can finishing it. I'm not winning the competition, but I have a lot experience from the competition, so still happy with all the time! 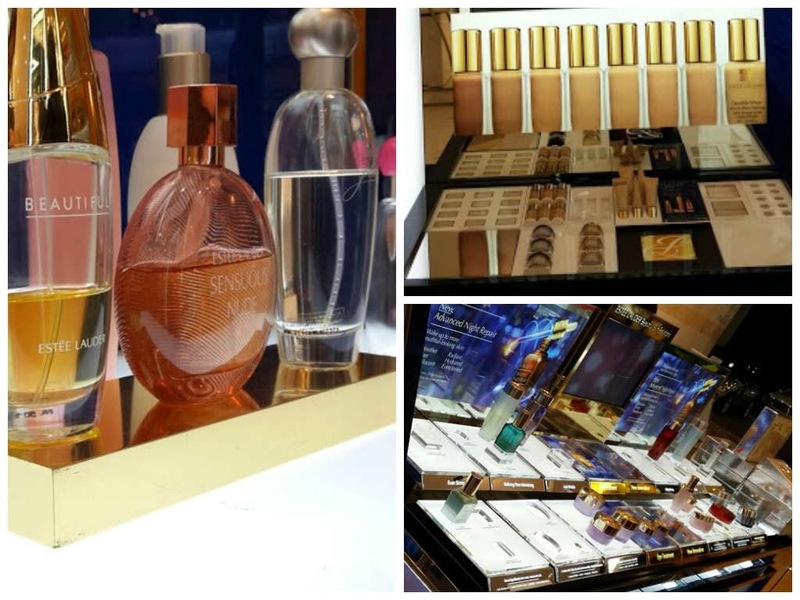 When the second part of the competition begin and I have about an hour waiting 'till 2 PM, I spend the time to take a picture of the counter, walking around the counter and asking about product to the BA. 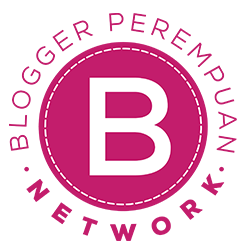 Actually I can say that the design are very exclusive and interesting. They use navy, silver and gold as a dominant color, and the lighting completing all. 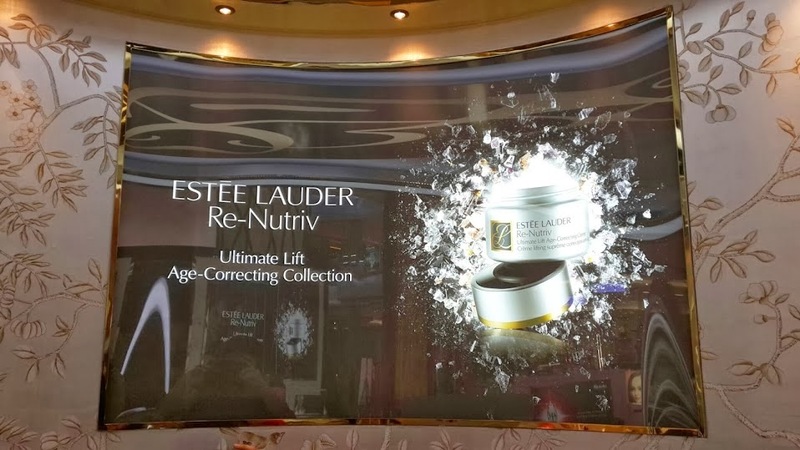 Take a look closely with the design above the couch at the waiting room, is a best seller of Estee Lauder Re Nutriv. 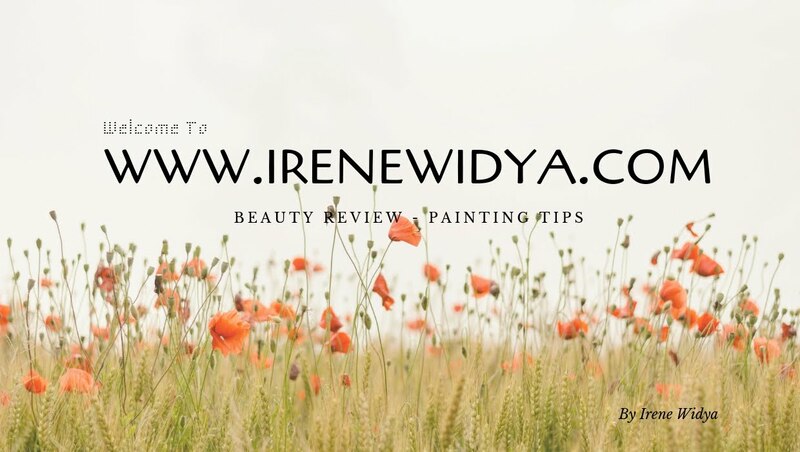 And the mural around is a hand painting right exactly same with Ms Estee Lauder's room. 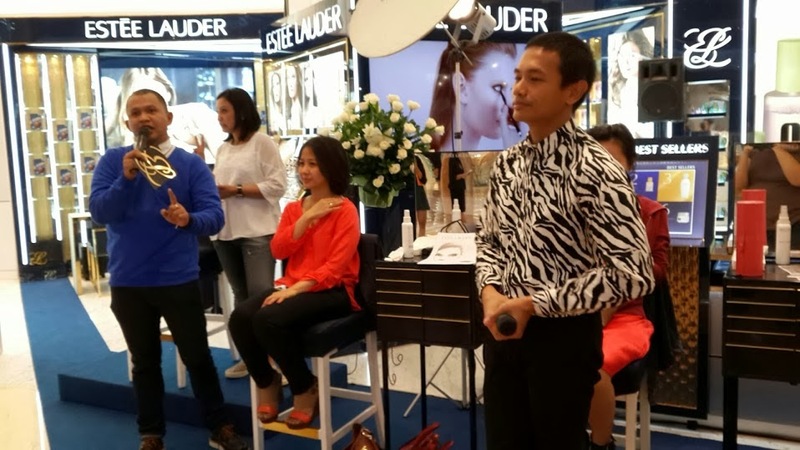 This is one of the special service of Estee Lauder, a Skin Tone Metering, which can "calculating" our skin tone to find the right color for foundation or concealer. 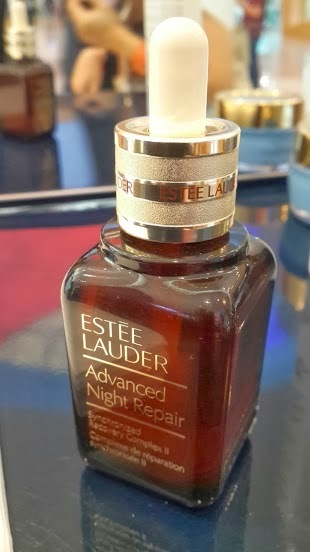 It's exclusive only at Estee Lauder Counter. 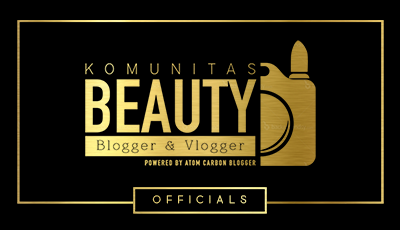 Well, that's all Ladies...but I'm gonna post about product review soon, soo stay tune!! 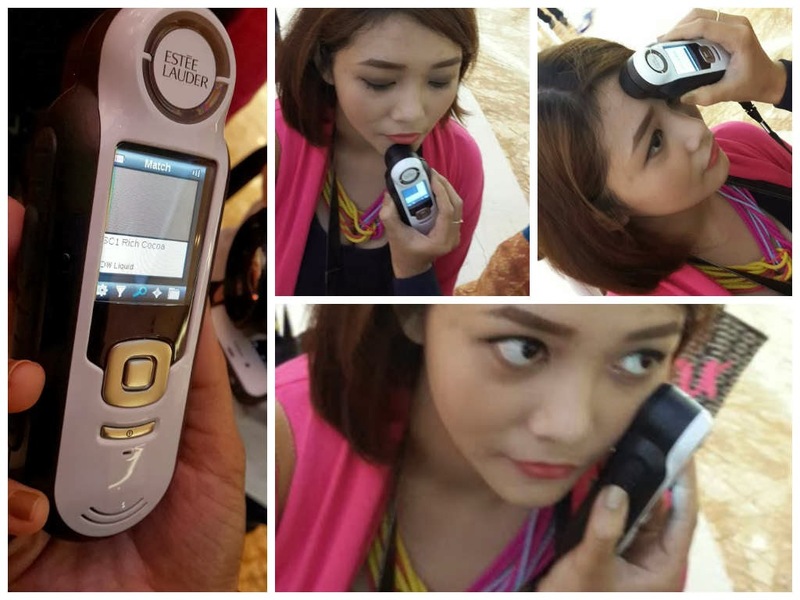 eh bukannya yg pvj kmrn juga maknyuss mak?